Eric Chew PA-C is a full time healthcare practitioner working with Apex Cardiology in Inglewood, California since 2001. 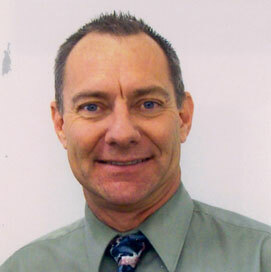 He graduated with honors from University of Southern California’s Primary Care Physician Assistant Program in 1996. He specializes in cardiovascular diseases and has become an expert in acute decompensation and chronic heart failure management. Eric is a leader in many areas of his life. He continues to enjoy teaching cardiology topics and clinical skills, for which he has done for the past 21 years. In fact, he continues to present on topics such as sudden cardiac arrest to healthcare providers both at the local and national levels. Mr. Chew has published articles in Circulation and the Journal of Cardiac Failure. Bi-Ventricular AICD’s, cardiac resynchronization therapy and AV optimization. Capture 2; Carotid Artery Stenting. Acute Study for Clinical Effectiveness with Nesiritide in Decompensation of Heart Failure. Currently, Eric is an active member for both the credentials committee and the utilization review committee of the hospital where he spends most of his clinical hours. Eric is an active member of the California Academy of PA’s and the American Academy of PA’s.